"So what are you making for dinner? ": Lemony Ricotta Summer Squash Galette & Archie's Birthday! 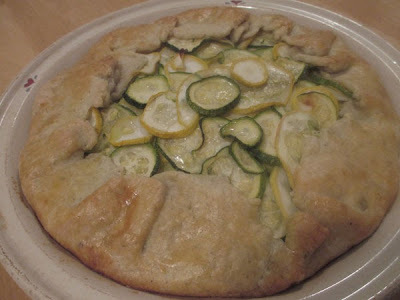 Lemony Ricotta Summer Squash Galette & Archie's Birthday! Another recipe from this month's Better Homes and Garden. Tonight we tried Lemony Ricotta Summer Squash Galette. The recipe calls for store bought pie crust. Yeah not likely in this house... For the crust I made the Pate Brisee and added some thyme and black pepper. 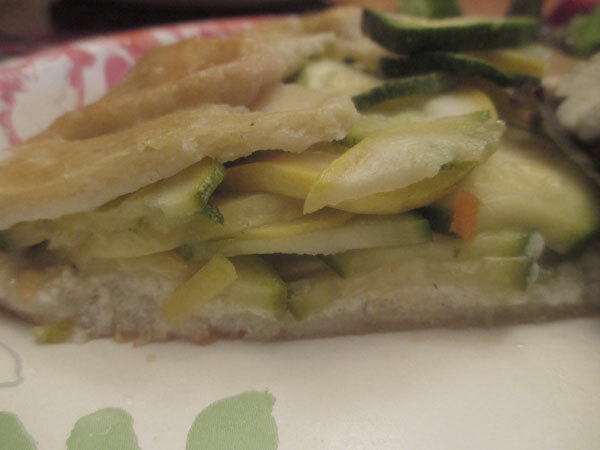 Layers of thinly sliced zucchini on a layer of lemony ricotta. Yeah I like this recipe! 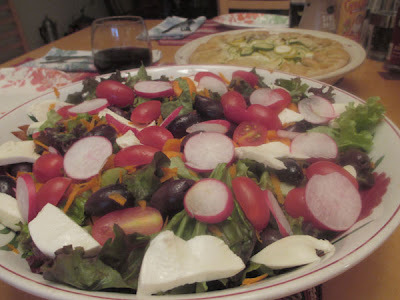 And with the Galette we had the perfectly constructed Big Salad. And who is 14 years old today? 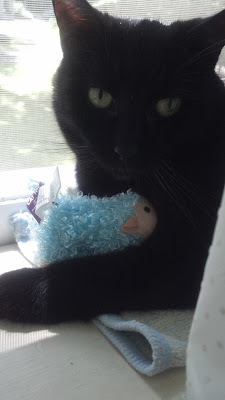 Archie!